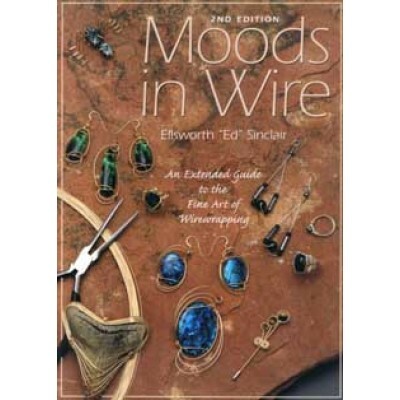 Moods In Wire An Extended Giude to the Fine Art of Wirewrapping Elsworth Ed Sinclair Softback black and white and colour 69 pages. Welcome to the wonderful world of wirewrapping. Each chapter has been carefully thought out and organised into step by step illustrated instructions on what to do to create beautiful handmade jewellery.